Yes! 100 Most Beautiful Stars 2013 list has just been revealed. Yes! 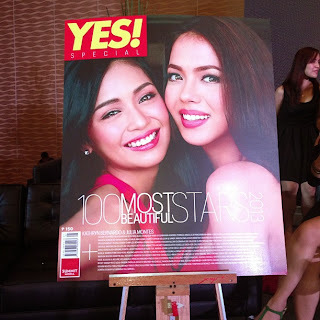 Magazine unveiled today its '100 Most Beautiful Stars' 2013 list, with Kapamilya teen stars Julia Montes and Kathryn Bernardo on top of them all. special issue (which costs P150). Only 18 and 17 respectively, Julia and Kathryn become the youngest ever, as well as the 6th and 7th Kapamilya celebrities to top YES! Magazine's annual list of the "Most Beautiful Stars". It's also the first time that 2 celebs have topped the list and share on the cover. Past years' honorees as #1 Most Beautiful Star were Judy Ann Santos, KC Concepcion, Marian Rivera, Kim Chiu, Anne Curtis and the only male celebrity so far to land on top spot, John Lloyd Cruz. Other stars who made the list and were also present at the press launch earlier include "My Husband's Lover" lead stars Dennis Trillo and Tom Rodriguez, as well as Alden Richards, Andrea Torres, Bela Padilla, Bianca King, Daniel Padilla, Glaiza De Castro, Jake Cuenca, Janella Salvador, Jeric Gonzales, Jerome Ponce, Joseph Marco, LJ Reyes, Lovi Poe, Martin Del Rosario, Martin Escudero, Max Collins, Michelle Vito, Mona Louise Rey, Pancho Magno, Ricky Davao, Ritz Azul, Rocco Nacino, Rochelle Pangilinan, Ryzza Mae Dizon, Sophie Albert, Thea Tolentino, Vin Abrenica and Mr. Tirso Cruz III with wife Lynn Ynchausti. Also part of this year's 100 Most Beautiful list are Alessandra De Rossi, Alex Gonzaga, Andi Eigenmann, Angelica Panganiban, Anne Curtis, Bea Alonzo, Benjamin Alves, Bianca Gonzalez, Christopher De Leon & Sandy Andolong, Carla Abellana, Coco Martin, Cristine Reyes, Dawn Zulueta, Derek Ramsay, Dimples Romana, Dingdong Dantes, Edgar Allan Guzman, Ejay Falcon, Elmo Magalona, Enchong Dee, Enrique Gil, Gerald Anderson, Gretchen Barretto, Heart Evangelista, Isabelle Daza, Iza Calzado, Izzy Canillo, Jennylyn Mercado, Jessy Mendiola, Jodi Sta. 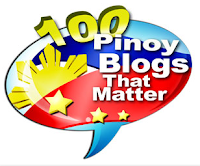 Maria, John Lloyd Cruz, Judy Ann Santos, Julie Anne San Jose, KC Concepcion, Kim Chiu, Kris Aquino, Krystal Reyes, Lauren Young Lorna Tolentino, Louise delos Reyes, Lucy Torres, Maja Salvador, Marian Rivera, Matteo Guidicelli, Mikael Daez, Mutya Orquija, Nova Villa, Ogie Alcasid & Regine Velasquez, Paolo Ballesteros, Paulo Avelino, Piolo Pascual, Rafael Rosell, Rayver Cruz, Richard Gomez, Richard Yap, Robin Padilla, Sam Milby, Sam Pinto, Sarah Geronimo, Solenn Heussaff, Susan Roces, Toni Gonzaga, Tonton Gutierrez, Wyn Marquez, Xian Lim, Zanjoe Marudo and Zoren Legaspi & Carmina Villarroel. Surprisingly, cover-worthy Angel Locsin didn't make the list. And I wonder why. The full and complete list of Yes! 100 Most Beautiful Stars 2013 can be found in the magazine's special issue, which will be available on newsstands starting tomorrow, July 26.